The number of applications for leave to appeal lodged by applicants without lawyers at the Court of Appeal shot up by more than a quarter last year. According to the Court of Appealâ€™s annual report published yesterday, the proportion of such applications remains low although there has been a marked increase from 4.7% in 2013/14 to 6.04% in 2014/15. Over the period October 2014 to September 2015, there were 1,518 applications to appeal conviction, compared to 1,410 over the previous 12 months; and 4,518 applications to appeal sentence (compared with 4,706 in 2013/14). The annual report recorded that almost eight out of 10 conviction applications considered during the year (79% of) were refused by a single judge and seven out of 10 sentence applications were refused by a single judge. 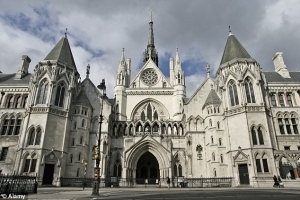 The court heard 299 full conviction appeals (compared with 397 the previous year) and 1,424 full sentence appeals (compared with 1,582 the previous year). There were 1,232 applications for leave to appeal conviction (compared with 1,148 the previous year) and 3,226 applications for leave to appeal sentence (compared with 3,841 the previous year).